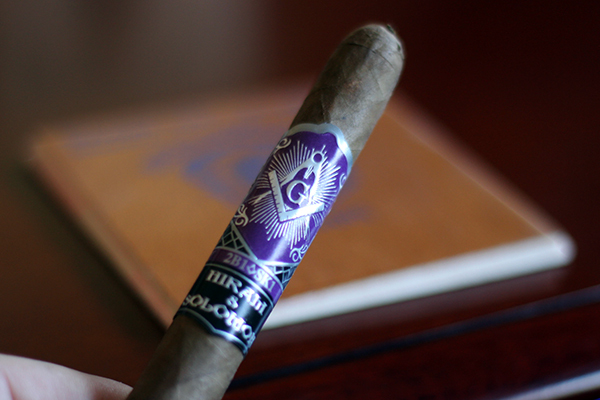 The Traveling Man, a name that holds deep meaning to brother Masons worldwide. The Traveling Man, a name that fits so many cigar brand owners that are road warriors, zig-zagging across the country, and at times the world, to ply their craft. 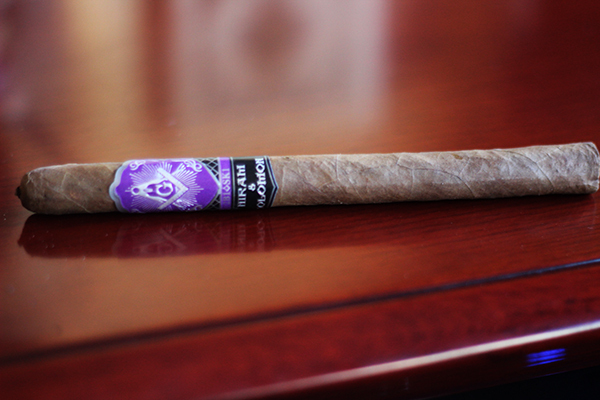 The Traveling Man, a highly successful cigar blend from Hiram & Solomon Cigars. No matter how you look at it, The Traveling Man should be praised, whether it is a never ending journey to help those in need, one who works hard to build a cigar business, or what was the #4 Cigar of 2016 on Stogie Press. 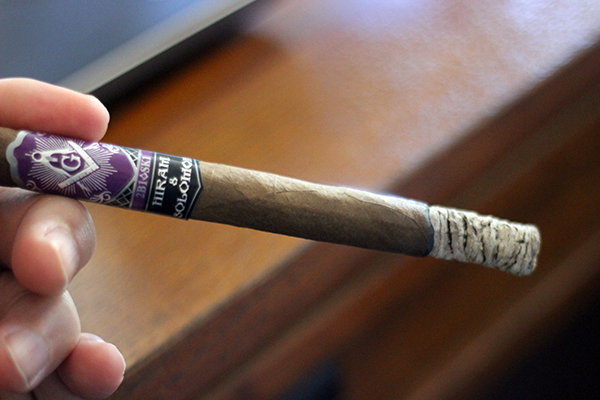 I have enjoyed plenty of Hiram & Solomon’s Traveling Man cigars over the years and each one was as good as the previous – consistent and flavorful. Now this young, but quickly expanding cigar company has hit my sweet sweet spot, with the addition of the Traveling Man Lancero. They got it to me just in time for the completion of the Stogie Press- Battle of the Lanceros. For this review I smoked 3 samples of the Traveling Man Lancero, not because I wanted to be sure I was right, but because I enjoyed it that much. 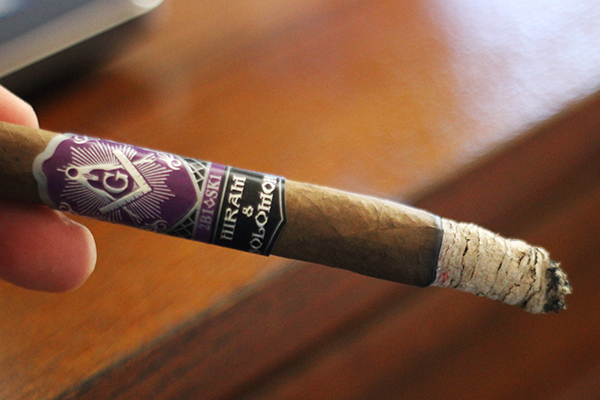 Each one was consistent in construction and flavor while offering a truly enjoyable smoking experience. The Hiram & Solomon Traveling Man Lancero is well constructed lance that sports a milk chocolate brown wrapper which is smooth to the touch and has minimal veins. There is a light marbling n the wrapper. 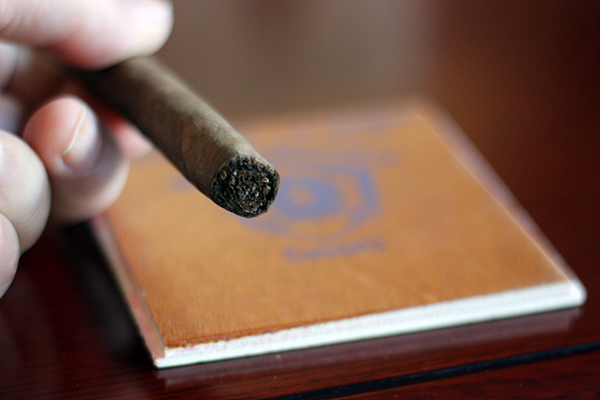 The cigar feels solidly packed and is finished with a well applied cap. 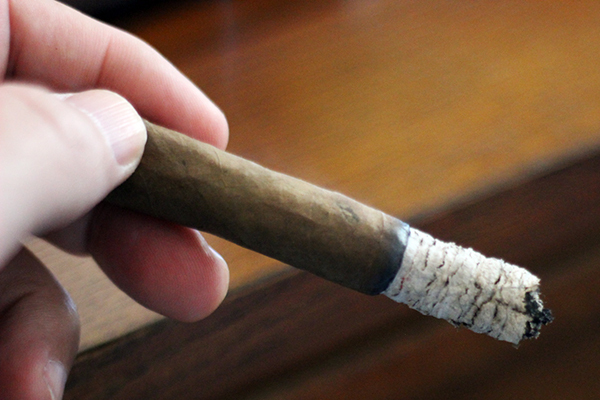 I would note that this lancero does not have a traditional twist cap. 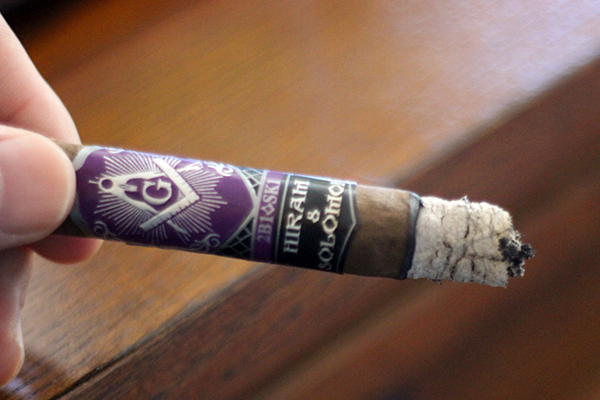 The cigar is adorned with the standard Hiram & Solomon band that uses the Traveling Man purple motif. Although the band is the same as the rest of the Traveling Man line, it was specially made to fit the smaller ring gauge of the lancero. 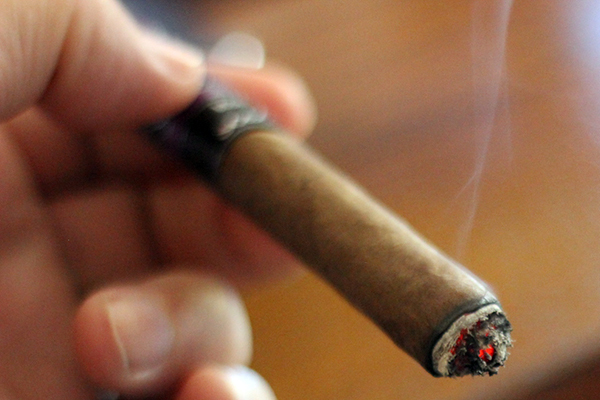 Running the Traveling Man Lancero across the nose, I picked up a light spice and a fermented leaf aroma along the barrel coupled with a natural tobacco sweetness off the foot. Keep in mind this is a true Indonesian Sumatra leaf that wraps the cigar and I am fully expecting plenty of sweetness and cinnamon spice as it burns. I sliced the cap with a double blade cutter to give it a straight cut, right along the shoulder of the cigar. A few cold puffs led to a few more as there was a delicious pre-light sweetness on the cold draw. I also noted a touch of dryness on the lips. With the preliminary examination out of the way, it was time to ignite the foot, which I did using a cedar spill. 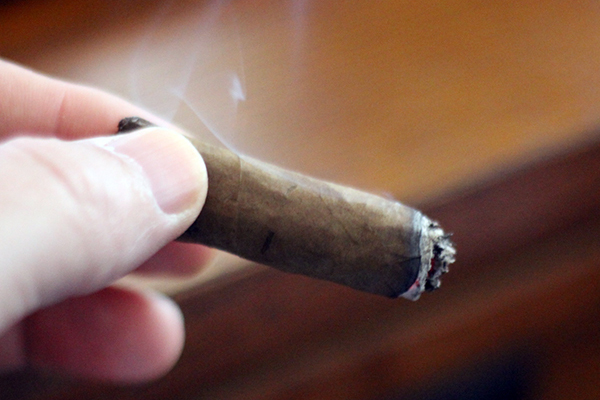 I generally ignite lanceros that way because of the small ring gauge and I don’t want to over burn it to start. The soft flame of the cedar spill works perfectly. 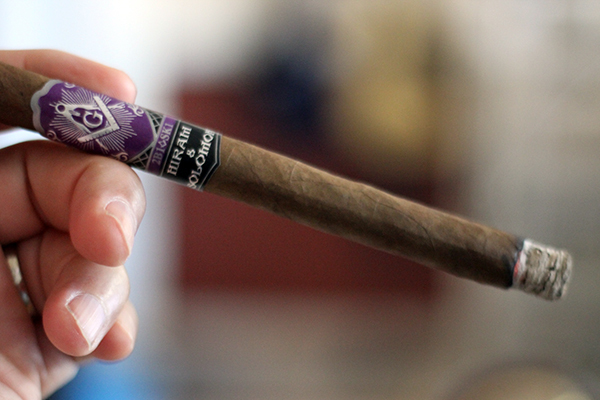 Overall, the Hiram & Solomon Traveling Man Lancero was one of those memorable cigars that will keep your palate intrigued with complex flavors and aromas from foot to nub. I rate this a solid 97. The burn was pristine and construction excellent. The only point deduction I gave this was the tannic dryness that seemed to grow especially in the second half. This is worth buying a box, especially if you like lanceros. I feel this will age nicely so smoke them slow and enjoy them, knowing that a portion of all sales goes to various charities. 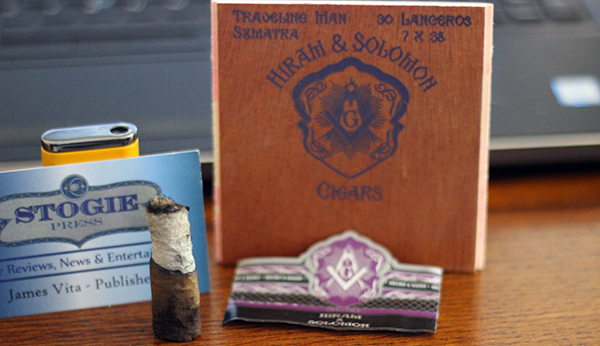 This entry was posted in Cigar Review, Hiram Solomon and tagged boutique cigars, cigar review, Hiram & Solomon Traveling Man, Plasencia Cigars S.A., Traveling Man Lancero. Bookmark the permalink.